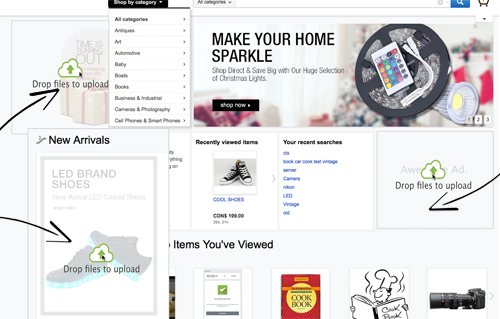 Easily drag and drop ads and images on the homepage. You must be logged in as the admin / site owner to use this function to move images into your banner spaces. Once you are logged in you can choose your image and simply drag and drop the image into the space provided. 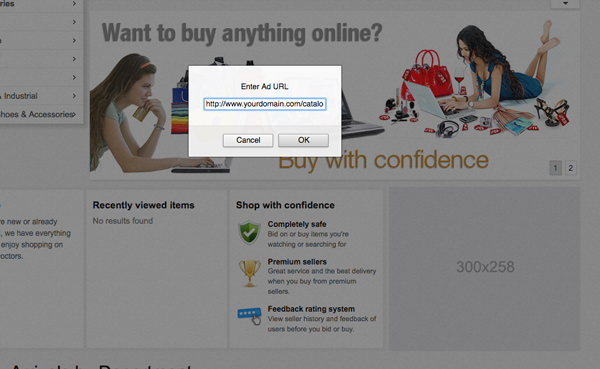 The banner ad spot will require you to add a url destination to direct the traffic to a desired category or page.